BRISTOL - Police are investigating a former Bristol swimming coach after a video of him showed up on a website run by a group that targets sexual predators. Nick Daddabbo, a swimming coach, lost his job after he was identified as the man in a video on the POP (Prey on Predators) Squad website. He hasn’t been charged. “Following notification of a posting on social media, Nick Daddabbo is no longer employed by the Bristol Board of Education,” the Superintendent of Schools’ Office said in a statement Monday, declining to say whether he resigned or was fired. Police said they received a complaint from Bristol school officials on Saturday. “We received a complaint and we’re looking into it,” said Lt. Richard Guerrera, who wouldn’t comment further. The POP Squad is a local group that has been responsible for numerous arrests of people who allegedly arranged meetings with what they thought were underage youths. Many of the investigations have involved text conversations that were sexual in nature leading up to the meeting. 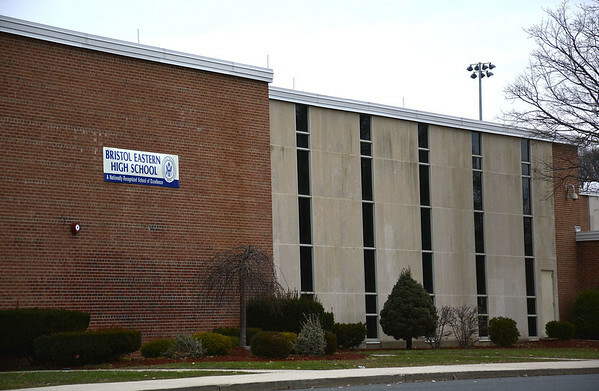 According to Plainville School SuperintendentMaureen Brummett, Daddabbo was a swimming coach at the Middle School of Plainville from 2010 to 2016. He was a substitute teacher there from April 2015 to February 2016, when he resigned to take a job in Bristol, Brummett said. During Daddabbo’s time in Plainville, no complaints were filed against him and everything in his background came back clean, Brummett added. She was aware of the video when the Press inquired about Daddabbo on Monday, saying someone had sent her a link to it. On seeing the video, she contacted police and the Bristol school system. During the video, one of the POP Squad members alleged that Daddabbo had believed he was chatting with a 14-year-old boy for about three weeks. “I don’t remember how old he was,” Daddabbo said. The POP Squad member also told Daddabbo that he would turn over the video and chat logs to police if investigators asked him for them - which he said happens often in other cases. According to its website, the POP Squad has done 105 investigations like this, some of which have resulted in criminal charges. Posted in The Bristol Press, Bristol, Plainville on Monday, 6 August 2018 21:28. Updated: Monday, 6 August 2018 21:30.